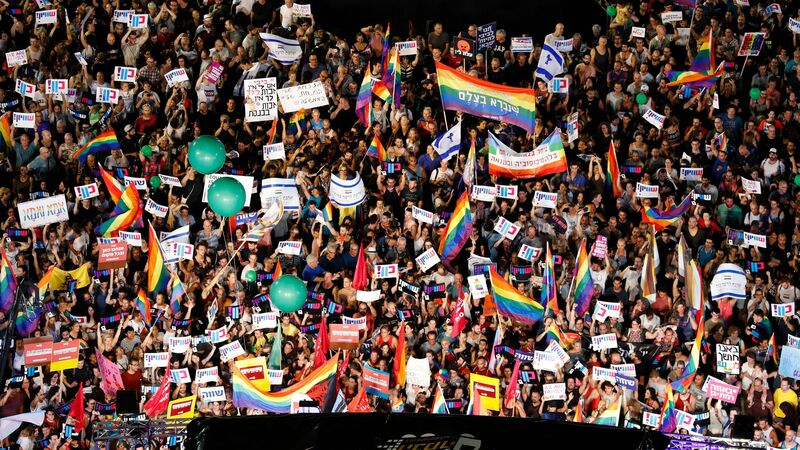 The Israeli government's refusal to pass a legislation allowing LGBT couples to have children through surrogacy prompted a massive protest in Tel Aviv and Jerusalem on Sunday, reports the Washington Post. The details: Thousands of demonstrators voiced frustrations of Prime Minister Benjamin Netanyahu, who initially said he supports a key change to the existing surrogacy law, but later joined his coalition partners, in­cluding conservative and ultra-Orthodox Jewish parties, to vote against the measure last week. The approved legislation allows single women and heterosexual couples to use the surrogacy process to have children, but it was not extended to men.